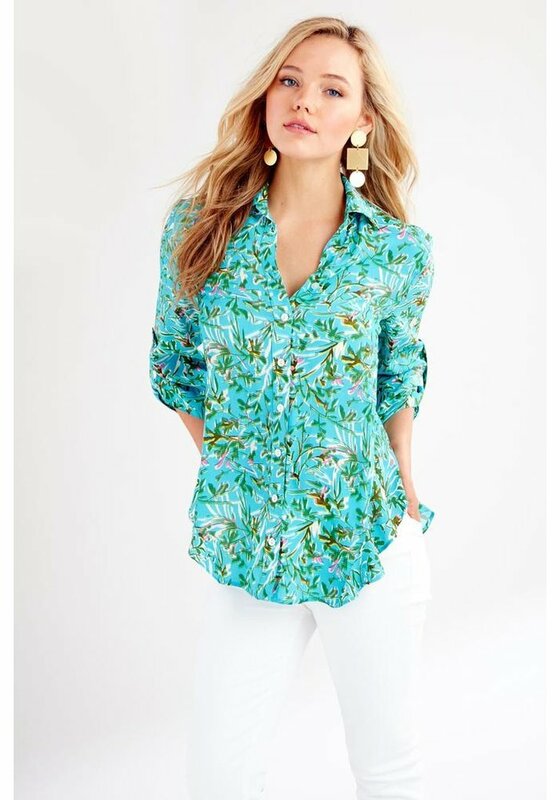 Finley "Agetha" shirt in pretty Kyoto floral-print with ruffled hem. Approx. length: 28"L from shoulder to hem; 29"L down center back. Three quarter sleeves; roll-tab cuffs.